Decision of the CC of the KKE on the developments around the Cyprus Issue and the position of the KKE / Source: inter.kke.gr. 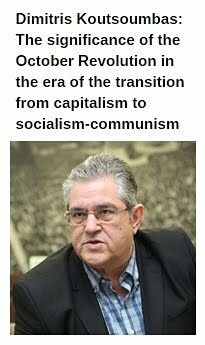 The Communist Party of Greece follows, studies and takes a responsible position on the Cyprus problem. It has made a significant contribution to the denunciation of the Turkish invasion-occupation, to highlighting the international character of the problem, to expressing internationalist solidarity with the working class and popular strata of Cyprus, the Greek-Cypriots and Turkish-Cypriots, Armenians, Maronites and Latins. 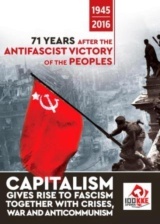 The KKE fights against the negative, for the peoples, plans that are unfolding in the framework of the antagonisms of the bourgeois classes of Greece, Turkey and Cyprus, as well as the in the context of the negative and dangerous role played historically and still being played today by the USA, Britain, NATO and the EU as regards the resolution of the Cyprus problem. 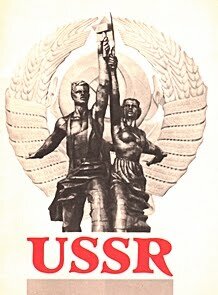 The problem, unsolved for 42 years, of invasion-occupation has today passed into a new phase of intensification, due to the imperialist military operations in the region and the inter-imperialist contradictions around the oil and natural gas pipelines, the transport routes for commodities etc. Greece, Turkey and Cyprus all have bases installed, i.e. they have provided territory for US-NATO bases and British military bases, which up to today play an increased role in the region, in the imperialist military operations. 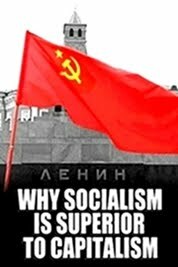 The KKE comes into conflict with bourgeois nationalism, which expresses the interests of the bourgeois class only. 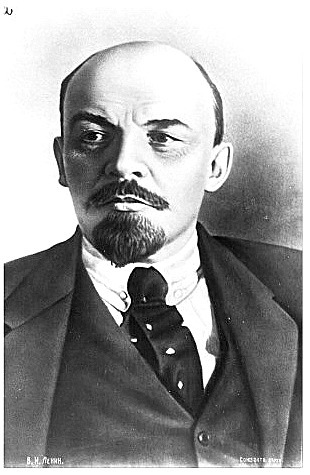 The fact that bourgeois parties and cells of the bourgeois state had and have every interest in fostering nationalist and chauvinist confrontations and hatred amongst the peoples, so that their plans can always be facilitated on the background of the inter-imperialist contradictions, or, in other instances, in fostering bourgeois cosmopolitanism, should not mislead the peoples. Both these choices (different sides of the same coin) serve in the end the partition in an open or camouflaged way. The KKE, alongside issues of principle, has a particular interest, as since the beginning of the 1950s the Cyprus Issue has been closely connected to the foreign policy of the Greek governments and as a result, in various forms, directly and indirectly, acts as a factor that has an impact on internal developments in Greece. The contradictions between the governments, as well as inside the EU and NATO, the various alliances that are created temporarily or not, have nothing to do with the interests of the peoples and the internationalist solidarity amongst them. Today, more so than before, these developments are leading very rapidly to the partition and the creation of two states in essence, a plan that has existed for many years and was temporarily avoided in 2004 with the vote against the "Annan Plan", which included this trajectory. The KKE was the only political force in Greece that decisively and clearly denounced the confederal, dichotomous "Annan Plan" and supported the NO of the Cypriot people in the relevant referendum of April 2004. It was the only party in the Greek parliament that organized mobilizations against this plan and due to the pressure exerted by it a joint statement in favour of the "Annan Plan" was prevented at the meeting of the party leaders called by the then President of the Republic in Greece. 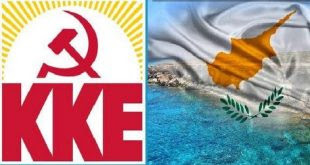 The KKE examines the developments with the workers'-people's interests as its criterion and focuses its attention on the following issues related to the Cyprus problem. First, the CC of the KKE notes that, despite the compromises of the Greek-Cypriot side, Turkey and the Turkish-Cypriot side recycle dangerous positions, which perpetuate the consequences of the invasion-occupation and promote the partition of Cyprus. On the 3rd of October 2014, and while the bicommunal talks were underway, the Turkish authorities issued "a directive to seafarers", which aimed at binding a large area of Cyprus' Exclusive Economic Zone (EEZ) in order for seismic research to be carried out by the Turkish boat "Barbaros". The Turkish/Turkish-Cypriot side argues that the Turkish-Cypriot constituent state will be the continuation of the "Turkish Republic of Northern Cyprus". Mr. Akinci (April 2015) spoke about "two equal states". In July 2015, in the period of the 3rd round of the concession of energy plots to monopoly groups, the Turkish side reacted intensely as regards plot 6 of Cyprus' EEZ, disputed the sovereign rights and advanced provocative claims. Mr. Akinci (March 2016) stated that "there can be no solution without the guarantees of Turkey" etc. Mr. Erdogan, in his statements of the territorial issue, mentioned that Turkey is not willing to return the occupied area of Morphou. Consequently, the euphoria that is being fostered for a solution to the Cyprus Issue does not have a real basis. The problems, which have led to today's situation, to the perpetuation of the occupation, remain in place. The political line that the government of Cyprus is following operates within the framework that led to the dichotomous "Annan Plan", which was neither just nor viable and its promotion entangled the peoples of Greece and Turkey in new hazards. The expectations about a just and viable solution, which are being fostered by the governments of Greece and Cyprus, are not rooted in real evidence. The joint statement of Anastasiadis-Eroglu (February 2014) and the basic position for Two Constituent States moves in the direction of a confederal, dichotomous solution. 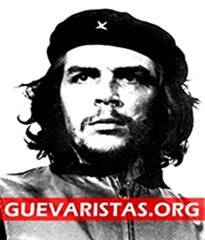 The systematic interventions of the USA and the EU in order to speed up the talks and for an agreement to be signed, aim at the creation of a fait accomplis, with the goal of paving the way for the exploitation of the energy deposits of the Island to the benefit of the bourgeois classes and the Euro-Atlantic plans. They have as their aim the utilization of the geostrategic position of Cyprus in the competition of the USA, NATO and the EU with Russia, in the context of the sharpening of the more general inter-imperialist contradictions that have manifested themselves in our region, where the imperialist wars in Syria, Iraq, Libya are raging. The developments are very dangerous. The competition is sharpening and is related to which energy plans will prevail regarding the exploitation and transport of the natural gas of Cyprus and of other energy sources from the South East Mediterranean to Europe. The situation is being complicated by the rapprochement of Turkey-Israel, the plans of Greece and Cyprus with Israel and Egypt. The following monopoly groups are involved in all these plans: DELEK, EXXON Mobil - QATAR PETROLEUM, ENI - TOTAL, STATOIL and CAIRN - DELEK - AVNER etc. The developments confirm that the course of the "Cyprus Problem", in each historical phase, is connected to inter-imperialist competition over the natural resources and the utilization of the strategic geographical position of Cyprus and the bourgeois classes of Britain, Turkey, Greece and Cyprus bear particular responsibilities. The USA, NATO and the EU are deeply involved in and bear responsibilities for the creation, in sustaining and sharpening the Cyprus problem. The accession of Cyprus to the EU did not only not lead to safeguarding a united Cypriot state entity to the benefit of its peoples as a whole, as the supporters of the European predatory alliance claimed, but in reality was proved to be an additional factor that creates difficulties, refuting expectations that were fostered over the years. Second, in relation to the Bicommunal-Bizonal Federation, which today is being promoted as the "heart" of the solution of the Cyprus problem, we note that since the 1960s, the Turkish bourgeoisie in a methodical and planned way has attempted to create a fait accomplis for the creation of two states, utilizing the problems of the Zurich-London agreements, the position for the union of Cyprus with Greece, the activity of nationalist forces from both sides, and even more so the coup that was organized in Cyprus, under the responsibility of the military junta in Greece. During the 1960s, the method of forming enclaves was used and Turkish-Cypriots were moved to specific areas in order to form a territorial Turkish-Cypriot zone, while the Turkish aims were completed with the invasion and occupation, with "Attila 1" and "Attila 2", in July and August 1974 respectively. After the invasion, the Turkish state worked systematically to impose the position for a Bicommunal-Bizonal Federation and to achieve for this position -as a compromise -to be included in the materials of the talks, as a basis on its part for a dichotomous, confederal solution, of two states. In 1983, the "Turkish Republic of Northern Cyprus" was declared and the false state was utilized once again to create a fait accomplis. In practice, it has been demonstrated that a tactical position, a "final compromise" of the Greek-Cypriot side, which led to the position for a Bicommunal-Bizonal Federation, was later transformed into a position of principle and foundation for the solution of the Cyprus Issue. Third, the downplaying of the international character of the Cyprus problem, as a problem of invasion and occupation, the prioritization of internal (governance etc.) aspects over international ones (withdrawal of occupation troops, rights of intervention of other states, British bases etc.) are characteristic features of the developments. Cyprus' continuing membership of the EU, the maintenance of British bases and military occupation forces, which are connected with the most unfavourable international correlation of forces as regards the resolution of the Cyprus problem, are taken as a given during all the years the talks have been conducted. The "Annan Plan" made it clear that the issue of state organization (two states) is not some narrow internal aspect, but is interconnected with issues to do with international aspects of the Cyprus problem, with the involvement of the EU and powerful imperialist states. On the basis of the experience that has been accumulated, the developments on the Cyprus issue must be dealt with from the standpoint of the role that Cyprus and the constituent states could play in a region with intense inter-imperialist competition, ethnic contradictions etc., in conditions of imperialist war in Syria, Libya and Iraq, of serious problems in Greek-Turkish relations, in the framework of Turkey's policy in the Middle East and Balkans and Greece's strategy for geopolitical enhancement on behalf of the monopolies. The dichotomous solution of the Cyprus issue is a worrying international development, because apart from the fact that it does not guarantee a viable solution in favour of the people of Cyprus, it can be practically connected with the new sharpening of the contradictions in the Eastern Mediterranean, with very negative consequences for the peoples in the region. Another characteristic feature of the talks between Anastasiadis-Akinci is the practice that prioritizes issues .e.g., of governance, the economy, the EU etc, downplaying and leaving to the end of the talks issues that have a central position as regards the consequences of the Turkish invasion-occupation. --The occupation of territories, towns, villages, property, in combination also with the problem of the refugees. --The withdrawal of the Turkish military occupation forces from Cyprus. --The problem of the settlers who are acquiring citizenship in order to change the population composition and to reinforce the fait accomplis. As regards the matter of guarantees, a discussion has begun that poses the issue of replacing the guarantor powers (Turkey, Greece, G. Britain) by an apparatus of the EU or NATO, or by a police, military force from various states or the maintenance of military forces from Turkey, perpetuating the problem. It should be taken into account as regards this issue that three international treaties were agreed together with the Constitution of 1960. --The "treaty of establishment" that also provides for the existence of two British bases. -- The "treaty of guarantee" that includes the rights of the guarantor powers to "take action with the sole aim of re-establishing the state of affairs established by the present Treaty." Consequently, the opposition to the regime of guarantees must be accompanied by the struggle to cancel these treaties, something which has not been carried out by the Greek government or the Cypriot side. 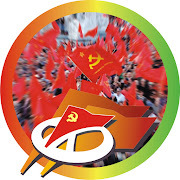 Fourth, the KKE, immediately after the signing of the Joint Statement Anastasiadis-Eroglu in February 2014, focused its attention on criticizing the "two constituent states" which constitutes a confederal, dichotomous solution. Aside from the federal state, each constituent state ( on the basis of the residual powers and in practice beyond) will have its own constitution, its own state apparatus, parliament, government and council of ministers, police, flag and anthem, its own state budget, its own policies for education, healthcare, pensions etc. Consequently, the claim that the "Bicommunal-Bizonal Federation" with two constituent states safeguards one sovereignty, one citizenship and one international personality has no basis. The "safety valves" that are being promoted through the powers of the federal state cannot objectively solve the problem. Even more so when Turkey is speaking precisely when it talks about a "partnership of two states" and declares that the Turkish-Cypriot state is the continuation of the "Turkish Republic of Northern Cyprus". In practice, the Turkish-Cypriot constituent state, connected by strong bonds to the Turkish bourgeois state, will implement its own political line and beyond what is provided for by the residual powers which will be given to it by the Federal Constitution. On the basis of the two constituent states, the principle of "one international personality" will have no basis for application regarding difficult, complex international problems. For example, how will this "principle" apply to Greek-Turkish relations, in the case of Turkey disputing of the Greek EEZ and continental shelf, the unacceptable positions about "grey zones", the position of the Turkish President Erdogan that disputes the Treaty of Lausanne? What will be its position, in the case of the deterioration of the situation in the Aegean Sea, in the South East Mediterranean? BASIC AXES OF THE POSITION OF THE KKE. 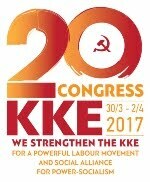 The basis for the position of the KKE is the united interests of the working people of Cyprus as a whole, the necessity to coordinate the struggle of the working class and popular strata of Cyprus, Turkey and Greece, confronting the situation caused by the invasion-occupation from the standpoint of the class struggle in the direction of liberation from the shackles of capitalist exploitation. Specifically, the position of the KKE on the Cyprus problem is determined by the following axes. The Cyprus problem is an international problem of the invasion and occupation of the northern part of Cyprus by Turkey. It is marked by the intervention of NATO and the more general imperialist plans in the region. The international character also arises from the relevant decisions of the UN Security Council. We are in favour of the withdrawal of the occupation forces and all the other foreign military forces from Cyprus and more generally we support the elimination of the consequences of the Turkish occupation, the end to the settlements, the right of refugees to return to their homes and the withdrawal of the settlers, taking into account social and humanitarian criteria. We support the closure of the British bases and the abolition of the special status they have enjoyed for so many years. The KKE considers that the struggle of the working class and popular strata must be directed to the goal of a Cyprus, where its people will be the masters, Greek-Cypriots and Turkish-Cypriots, Armenians, Latins and Maronites. A Cyprus united, independent, with one single sovereignty, one citizenship and international personality, without foreign bases and troops, without foreign guarantors and protectors. --A united state formation: One state and not two states. --The right to free movement, residence and stay of working class-popular families in all areas of the Island, without conditions and commitments, regardless of whether they are Turkish-Cypriots, Greek-Cypriots, Armenians, Maronites or Latins. --Safeguarding of labour, social-security, social rights without discriminations. Respect for the right of all people to speak their language and for their children to be educated. Respect for the religious choices and cultural traditions. On this basis, the position of the KKE for a united Cyprus fights against nationalism and ghettoization, which are caused by "bizonality" and the two "constituent states", and expresses the necessity for the united organization and joint struggle of the working class and popular strata of Cyprus, Greek-Cypriots and Turkish-Cypriots, Armenians, Latins and Maronites, against the bourgeois class, against the EU, against NATO. The conflict against capitalist exploitation and the confrontation against the aggressiveness of capital, the struggle for goals that serve the contemporary needs of the people, even more so in the complex conditions of the sharpening inter-imperialist antagonisms and imperialist wars in our region, require the utilization of the experience that has been accumulated, the reinforcement of proletarian internationalism and the coordination of the struggle of the working class and popular strata in Greece, Cyprus, Turkey and of other peoples in the region. As a whole, the joint coordinated struggle of the working class and popular strata in Greece, Cyprus, Turkey and the other peoples of the region must be directed against the monopolies and the exploitative system, for workers'-people's power and the socialization of their wealth, for disengagement from the imperialist organizations, from the EU, from NATO, the formation of international relations, which will be based on mutual benefit. This is the basis for equal economic relations to the benefit of the peoples of different state entities.